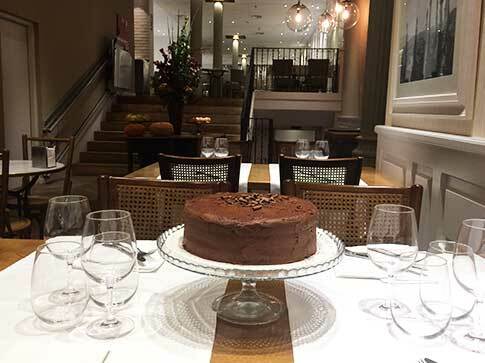 Specialising in rice dishes in Barcelona, the Cullera de Boix restaurant offers every day a selection of cakes to enjoy at any time. From early morning, they put a temptation on your table. You usually have at least three options: a chocolate cake, a cheesecake and, for example, a fruit cake. This is an initiative that Cullera de Boix has launched this autumn to sweeten all meals they offer. Thus, from now on it is possible to have one of the best breakfasts in Barcelona with a sweet touch provided by an artisan cake. 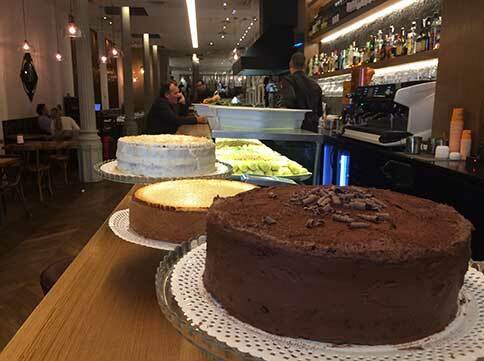 You can also finish your daily menu – after eating a paella in Barcelona – with these special cakes or enjoy an afternoon coffee accompanied by these servings customers have already qualified as sublime. The idea, promoted by Cullera de Boix’ management, aims to enhance cakes made in a traditional way with first-class products. These cakes are made every day first thing in the morning and vary according to seasonal produce – especially fruit – and customer acceptance. 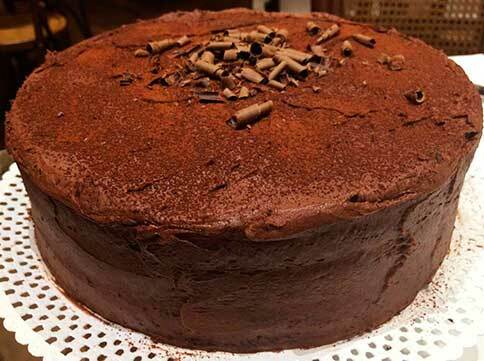 For now, the chocolate and cocoa cake, as assessed by the restaurant, is the most popular of all among customers. Especially to be shared with a companion after eating a paella in Barcelona at the Cullera de Boix restaurant on Rambla de Catalunya, located in the city centre. Make a reservation for a paella menu in Barcelona at the Cullera de Boix restaurant.